The Style Verdict is a 20-something attorney and blogger from Boston who enjoys fashion, beauty, traveling, and talking about the latest twerkin’ celeb. Sometimes she wishes she were British and talks in an accent just for fun. She is a firm believer that laughter is just the best thing ever and on most days, you can find her trend spotting, defending her love of whale watches, and singing the wrong lyrics to songs in her car. 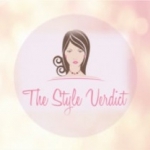 Visit her at: thestyleverdict.wordpress.com or on Twitter for shorter ramblings: https://twitter.com/TheStyleVerdict. Trending Tresses: Which Style Has Rocked the Red Carpet?